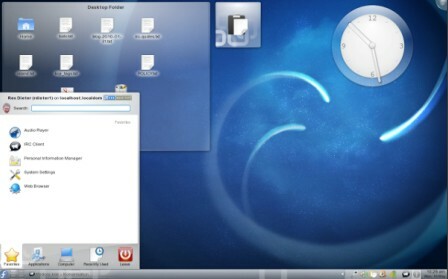 Fedora 16 (code named as Verne) beta version released! while final version is expected to be released in November 2011. Fedora is one of the most popular Linux based operating system and commonly called as a rock solid distro, with latest cutting edge features that you can expect from a latest Linux distro. Fedora strictly follows open source principles, and uses Gnome as their default desktop. What’s New in Fedora 16 ? Get 32 bit or 64 bit Live ISO or Download Fedora 16 beta from the official website. Fedora 13 uses GNOME as Default Desktop(Window Manager) although you can select KDE(K-Desktop Environment) in the beginning at the time of installation.In second case,you can install KDE later(After installing fedora 13) from the shell/terminal/command-line or in graphical interface.KDE(K-Desktop Environment) 4.5 RC3 has just released on July 26 2010.KDE is a very popular desktop environment,it’s very eye catching,open source and free so it’s supported && used by most of the linux based operating system.This post will explain you – how to install KDE desktop on fedora 13 by using package manager(in gui mode) and command line. Go to package manager and search for ‘kde’ installation package.Select the required package and install..it will take few minutes to install. At login prompt choose the desktop from the menu(session) that you want as default and enter your login detail to proceed.That’s all..now it’s time to enjoy KDE on Fedora 13. Conclusion : Although KDE Desktop is little slower than GNOME and I prefer to use GNOME but it’s a personal experience;you may like KDE instead of the default GNOME desktop on Fedora 13.